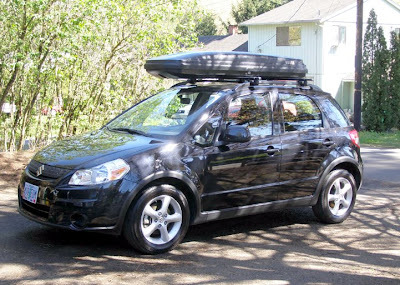 After a few road trips up the mountain, down to the beach, and out to wine country, we decided our Suzuki SX4 needed a few accessories to protect against hauling stuff, specifically, in its cargo area. 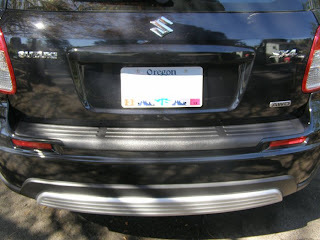 First was the Suzuki rear bumper cover, which protects the bumper's top from scrapes. We'd already made some scuffs taking things out of the trunk, and now the cover covers them up and adds more protection against scrapage. It was a cinch to install using three long strips of double-sided foam tape. The other part we ordered is the rubber rear cargo mat. 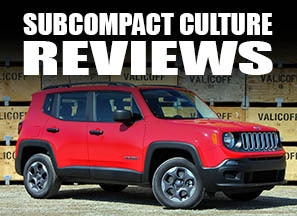 The genuine Suzuki part fits like a glove and provides the perfect barrier between the carpet and things like wet boots from a day of skiing, or sandy shoes from a day at the beach. Plus, it's easy to remove and clean. Both parts were ordered through SuzukiPartsPeople.com, which was out of Puyallup, WA—highly recommended. Suzuki SX4 is very stylish car have a awesome features. so much passionable.sx4 giving good mileage. Good exterior design. 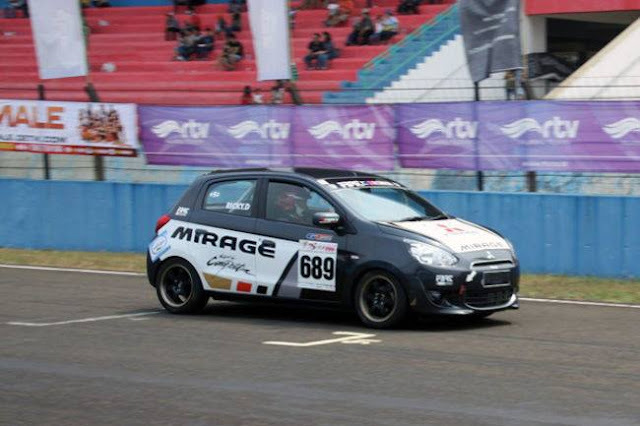 great powerfull engine, good luxury and safty devices…Suzuki still makes bullet proof cars, just ask any Suzuki owner.